Looking out of the window. all I can see are clouds - no sun in sight. However, the temperature is already 27. We are told that it is expected to rise to 40-41 and only drop to 30 overnight. I am thinking that it not a good day to undertake a major gardening project nor is it a day to go for a walk. 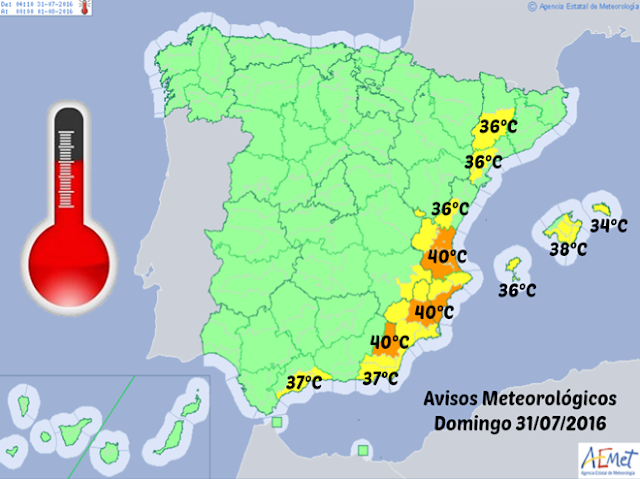 Those who have arrived at the coast for their holidays must wonder whether they have brought the heat from inland with them. That pretty much means that Bigastro will be closed for traffic on Friday night. The photographer Francisco Cano "Canito" (born Alicante, 1912) worked for 71 years taking historic photographs in the bullrings of Spain. 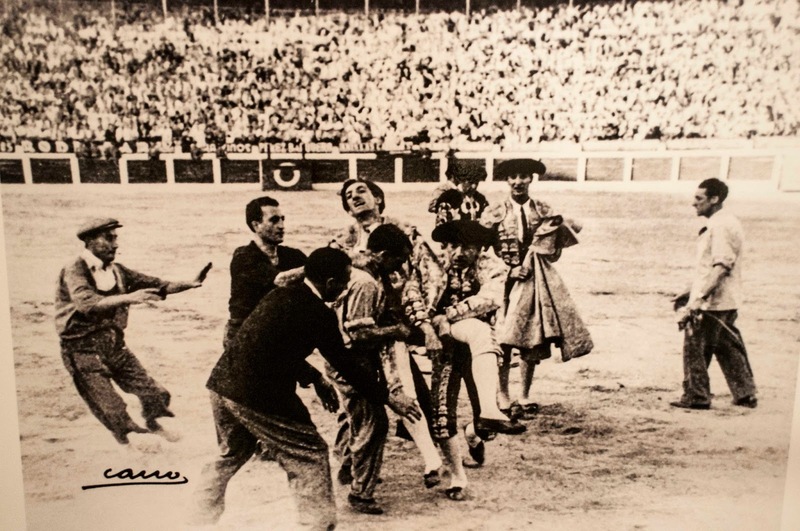 One of his most famous photos was of the moment when the famous taurino, Manolete, was gored in the bullring at Linares. 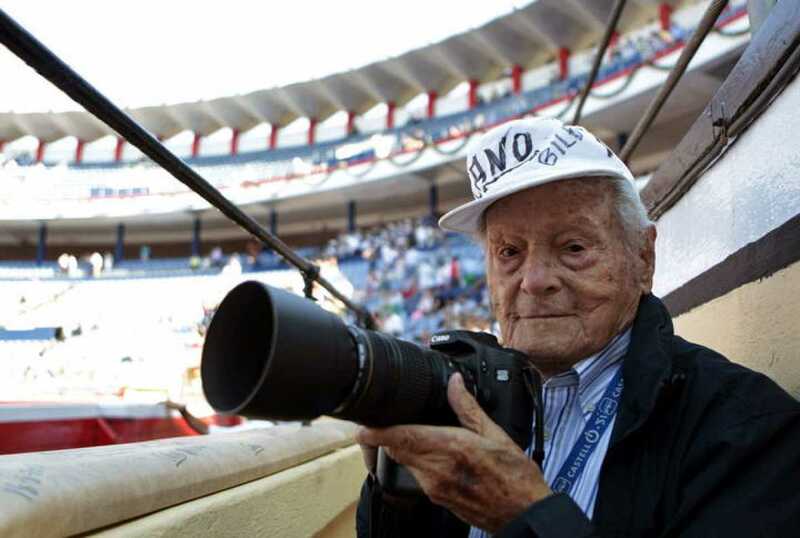 On Wednesday, Francisco Cano passed away at the age of 103. Manolete was considered to be one of the finest bullfighters of all time. His style was sober and serious, with few concessions to the gallery, and he excelled at the suerte de matar — the kill. Manolete's contribution to bullfighting included being able to stand very still while the bull passed close to his body and, rather than giving the passes separately, he was able to remain in one spot and link four or five consecutive passes together into a compact series. Just days before the 28th August 1947 the announcements appeared at the Linares Bullring (Jaen) that Manolete would fight the fierce Miura bulls alongside Gitanillo de Triana and Luis Miguel Dominguin. Thousands flocked to see their hero in the ring. With Manolete’s first bull he fought a brilliant faena, then came his second bull, the fifth of the day. The bull was called Islero and it was a truly fierce Miura. After another superb demonstration of bullfighting Manolete prepared for the kill. The steel of his sword disappeared deep into the beast but immediately afterwards the bull’s horn dug deep into the bullfighter’s right thigh. Manolete complained bitterly as he was carried to the infirmary. In the bullring he was awarded both ears of the bull for his display. But back in the infirmary he was given several blood transfusions but his state remained grave. Dr. Giménez Guinea, then official doctor of the Madrid bullring was called upon to attend, arriving at 4 o’clock. Within an hour the great matador was dead. The tragedy left the whole of Spain and all the world enthusiasts in a complete state of shock. In response to Manolete's death, General Francisco Franco, then dictator of Spain, ordered three days of "national mourning", during which only funeral dirges were heard on the radio. Those of you in England may wonder why they choose to hold these runs at 9:30pm. The reason is simple, it is just too damn hot in the daytime for such strenuous activity. In any case, the timing is better for those people who are at work during the daytime. You can be certain that neither Pam nor I will be taking part! My friend, who everyone knows as FontaBigastro, has just posted his pictures from last year's fiesta. He is an excellent photographer and so I commented on just how good his photos were. This is his reply on Facebook. Muchas gracias por tus palabras amigo Keith Williamson, y muchas gracias por todo lo que haces, y como lo haces, por la pasión que pones en ello. Tu amigo mio no naciste aquí, pero hemos tenido la suerte de que elegías Bigastro para vivir, y así hemos tenido el honor de conocerte. Admirable como con tu cámara y con tus crónicas en tu blog ¡ ESTO ES JAUJA ! contribuyes a que Bigastro, tu Pueblo y el mio sea conocido a nivel internacional. Eres un ejemplo, y como no, sin lugar a dudas tu y Pam Williamson sois unos Bigastrenses de pura cepa. Thank you very much for your words friend Keith Williamson, and thank you very much for everything you do and how you do it, for the passion you put into it. You are my friend and even though you were not born here we are fortunate that you chose Bigastro to live, and so we have the honour to meet you. Admirable as with your camera and your blog "THIS IS JAUJA! your contribution to your people and your town is known internationally. You are an example, and of course, no doubt you and Pam Williamson are pure strain Bigastrenses. You know that, even if Bigastro is not the smartest place, that is more than made up for by the people who live here. 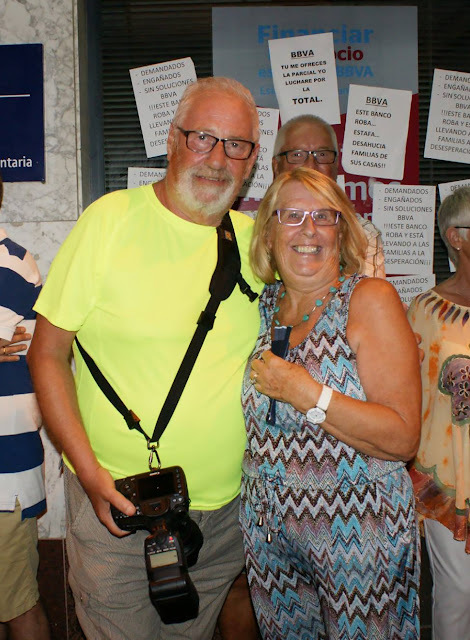 Seeing the photos taken by my very good friend, Fonta Bigastro, including this one of Pam and I at the parade of comparsas last year, reminds me that the fiesta will start in just a couple of weeks time. My cameras have seen very little use over the last few weeks. It's time to charge the batteries and clean the lenses ready for the major event of the year. I missed out on the parades in Orihuela and the motorbikes in Bigastro on Sunday - my excuse was that the therapy left me tired. 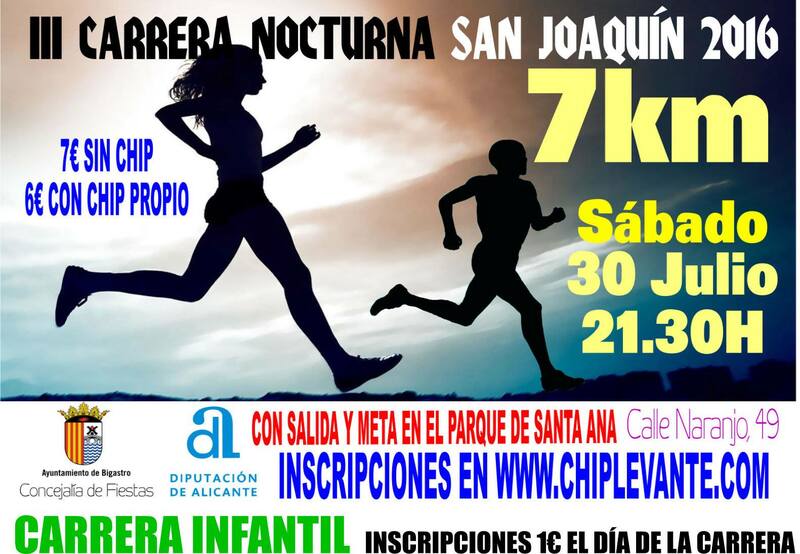 Hopefully, I will be fully recovered in time for San Joaquin. 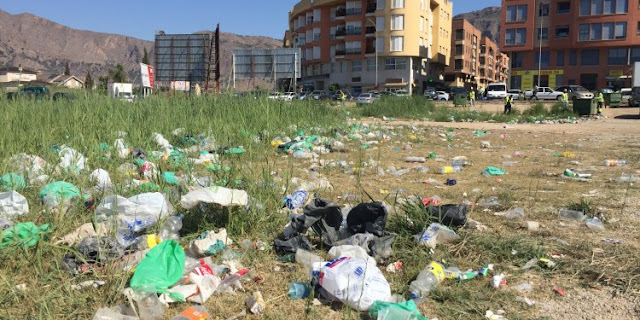 One of the least attractive side effects of the Moors and Christian festival in Orihuela is the sight of litter strewn on any open land near the city centre. Those of you who have been to watch the parades must have noticed the hordes of young people who congregate afterwards with carrier bags laden with bottles of spirits and soft drink mixers. They are preparing for what is called macrobotellón, a feature of summers here in Spain. All efforts to control this activity seem to be in vain. There simply aren't enough policemen to stop the young people from congregating in this way and every year the numbers seem to increase. The neighbours complain of course because apart from the litter, these meetings are far from quiet and often carry on until the early hours of the morning. Then there is the issue of toilets or lack of them which means that by the morning the locals face the nasty stench of urine outside their houses. It doesn't just happen in Orihuela nor is it confined to fiestas, this goes on most weekends in many cities and towns. I have just had the last of my 28 sessions of radiotherapy so no more early morning trips to Elche for awhile at least. The next step is to make an appointment with the Urologist at Vega Baja to start the monitoring process. However, that won't start for a few months because the injection I had to lower the level of testosterone lasts for six months. Only after that will blood tests reveal whether my PSA has started to drop as a result of the radiotherapy. When the effects of radiotherapy wear off over the next couple of weeks, I will need fewer trips to the toilet and my energy levels should increase. Again, I should like to thank those who have enquired about my well being.In particular I thank Jim Ryder who wrote a supportive comment on my blog and came around yesterday to check how I was coping with the treatment. Those of you who have faced cancer will agree that the support of friends and relatives during the process of treatment is a vital if you are to keep a positive attitude. Now that is what I call hot. Those of you in Britain who are complaining about the temperatures at the moment should consider what it must be like in parts of the Middle East. On Thursday a blistering temperature of 54C was recorded in Kuwait, firmly putting the hot spell in Britain into context. It is the highest temperature ever recorded in the eastern hemisphere and almost certainly the highest temperature ever recorded on earth. If verified by the World Meteorological Organisation, this will almost certainly be the highest temperature ever recorded on the planet. An opportunity to photograph some motorbikes and enjoy a barbecue lunch with a couple of drinks for just 5 euros - I'm up for that!! It is that time of year again when Orihuela celebrates the reconquering of Spain by the Christians who took back control from the Moors. As in every year, the fiesta concludes with grand parades by both groups. This year the Christians will go first. 21:30 Christians Parade. 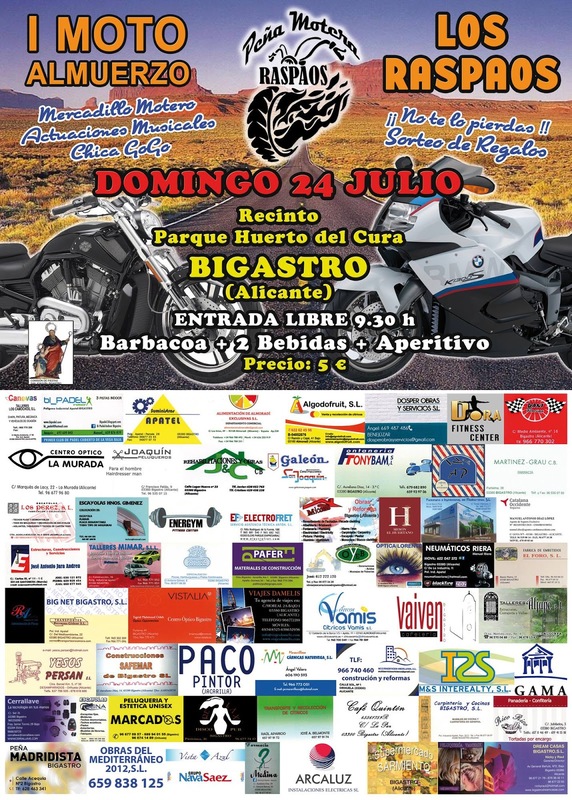 Route: gathering of the filas in C/ Ocarasa, for starting on C/ Aragón, Plaza San Sebastián, Avda. De Espana, C/ Calderón de la Barca, C/ Loaces and C/ Alfonso XIII, finishing in the Plaza Alfonso XIIL,followed by partying in all of the cuarteles and kábilas. 21:00 Moors Parade. 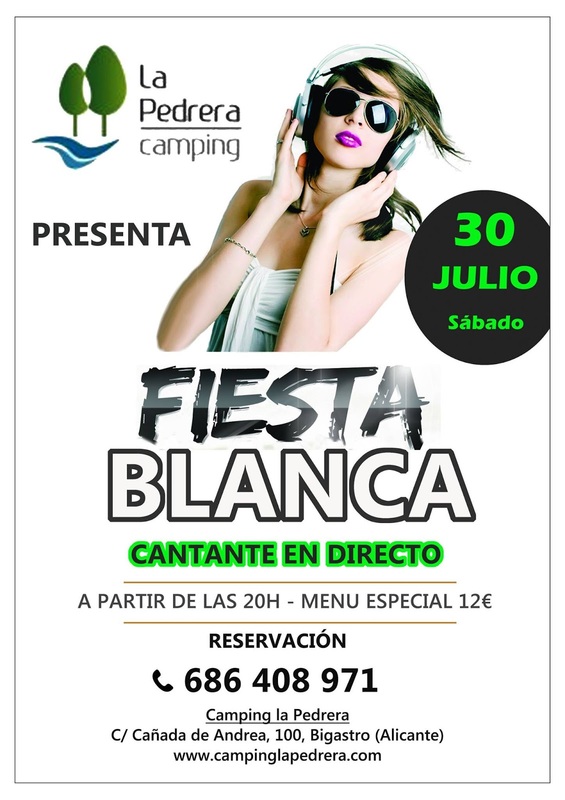 Route: gathering of the filas in C/ Ocarasa, for starting on C/ Aragón, Plaza San Sebastián, Avda. De Espana, C/ Calderón de la Barca, C/ Loaces and C/ Alfonso XIII, finishing in the Plaza Alfonso XIIL, followed by partying in all of the cuarteles and kábilas. 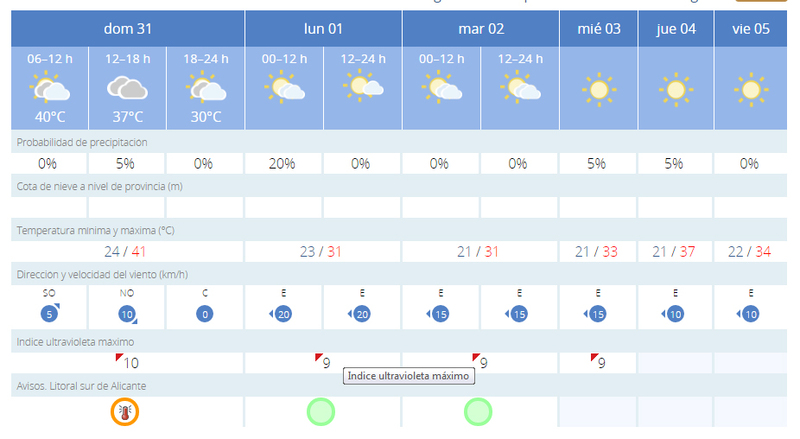 Just to let you know that we are expecting a heat wave starting Wednesday. All the usual advice about keeping out of the sun, eating light food, drinking plenty and wearing suitable clothing. 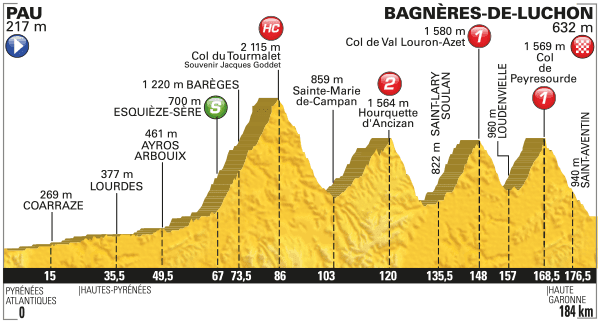 Having climbed the Gran Columbier in the Alps, the riders will then tackle the Lacets, a winding Cat 1 route with some steep sections to tire their legs before a dramatic descent to the finish line. Will we see some action amongst the race leaders? Wait and see! One thing I do know, my son-in-law would love to drive that road. Last year we tackled the road to Sa Calobra in Mallorca and he enjoyed that drive in a people carrier! Imagine the pleasure of this road in something smaller and a bit more lively. The development of certain sectors in Bigastro has been severely hampered by the lack of an electricity supply. Yesterday, the mayor, Teresa Belmonte, signed an agreement with a representative of Iberdrola to provide a supply to sectors D-6 and D-10 and then later to sectors D-2, D-3, D-4 and D-5. The important point is that, the existing infrastructure cannot cope with demand which is why we still have the occasional power cut. By upgrading the system, we should hopefully enjoy a better service. The other important point is that the cost of this development to the town has been reduced from the original 2.5 million euro agreement in 2007 to the amended sum of 525,000 euros in 2009 and now it will only cost the town 172,000 euros of which 70,000 has already been paid. 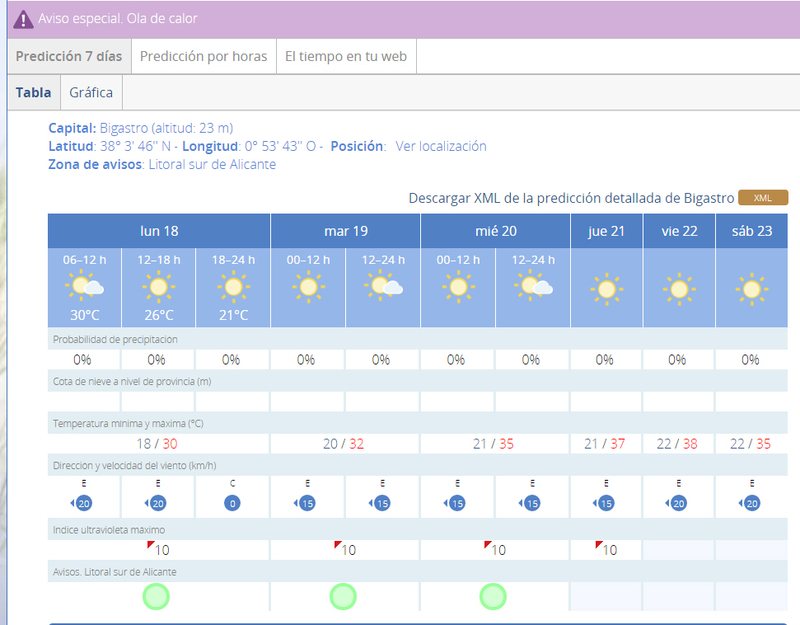 Look at the map of Spain for this weekend. Pleasant temperatures for much of the country with sunshine everywhere. 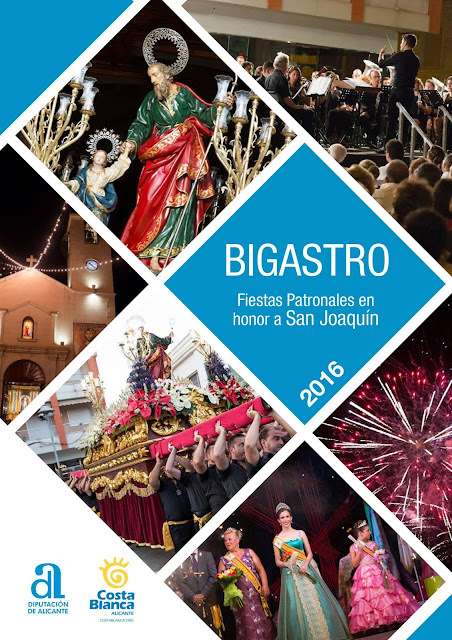 In good time this year, the programme for the Fiesta in honour of San Joaquin 2016 is available from the Town Hall. 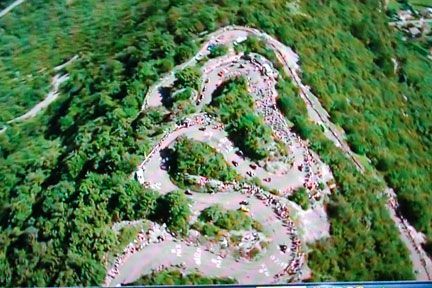 When we watch the riders climb Mont Ventoux tomorrow let us remember that this is not the steepest climb that cyclist face in the Grand Tours. 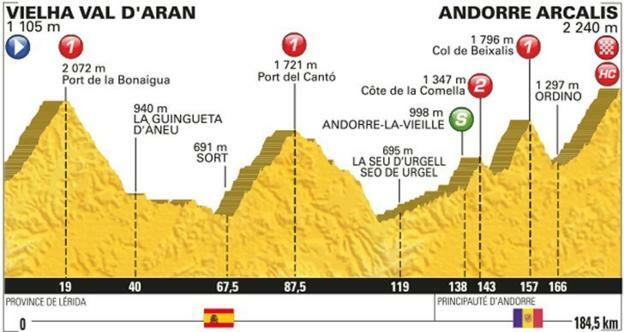 That honour goes to the Alto de l'Angliru which features in the Vuelta a España. The organisers of the Vuelta a España wanted a mountain to rival Alpe d'Huez and Mont Ventoux in the Tour de France and the Mortirolo Pass in the Giro d'Italia. The top of the climb is 1,573 metres above sea level. The height difference is 1,266 m. The climb is 12.5 kilometres long with an average gradient of 10.13%. It is near 24% at its steepest. The first 5 km are an average of 7.6%— stiff but not over-demanding for world-class cyclists. The sixth kilometre lessens to 2.1% and has a short descent. The last half of the climb is more severe. From six kilometres to the summit, it averages 13.1%. 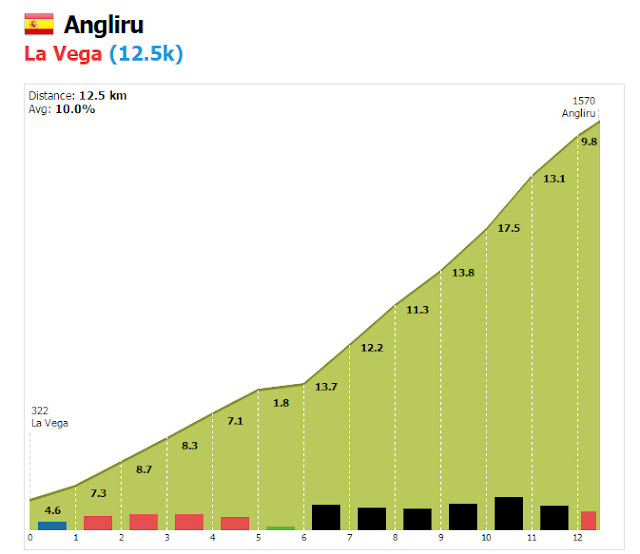 The steepest part, the Cueña les Cabres at 23.6%, is 3 km from the summit. There are two later ramps at 18% to 21%. It is getting hot out there as you can see from this graph. Go inland though and the temperatures are even higher with some parts of the country on orange alert. It seems that Teresa May will become the second female Prime Minster of Britain. Before she takes the post though, Ms May will have to write a so called "letter of last resort". Somewhere out in the North Atlantic, every hour of the day, every day of the year, a lone submarine glides through the ocean with no real destination. Since 1969, one of the four boats of the UK’s Continuous At-Sea Submarine Deterrent has always been on patrol. Its location is known to only a handful, even many of her crew will have no idea where they are. While many Royal Navy captains hold responsibility for their crew, Trident submarine commanders also bear a far more macabre role: the duty to play Britain’s final political and diplomatic hand possible. Within the bowels of each boat lays two safes, an outer and an inner, and within that inner safe sits the letter of last resort. Retaliate with nuclear weapons without prejudice. Do not retaliate at all. Allow the commander to act within his own discretion. Place the boat under the control of an allied navy, specifically the Royal Australian Navy or US Navy. Given some time alone, the Prime Minister is requested to decide and write it in a letter addressed to the commanders of each of the Vanguard-class submarines in the navy. The message is then sealed in an envelope and sent to be placed into the boats’ safes. So far, none of these missives have been opened, and the letters are burned at the end of each premier’s term. To get to the stage where the letters can be opened is a long and purposefully difficult journey. First, the Prime Minister must have perished or become incapacitated in some way. Then, his/her proposed alternate decision makers would had to have met the same fate. It is only after that point that the submarine commanders go anywhere near their safes. If the Prime Minister or his/her alternates survive an attack, they will likely be conveyed to a secure bunker underneath the Ministry of Defence in Whitehall, without their families. From there, what remains of the government will issue orders to retaliate through the headquarters of Royal Navy Taskforce 345, based in a bunker under the Chiltern Hills. In a room described as “quite bland” by a previous commanding officer, two people are on watch 24/7 and are in constant communication with the submarines at sea. It is they who pass on all messages, including those to fire. If the Prime Minister decides to do so, he will submit a code which will then, similarly to the submarines, be confirmed by information contained in the bunker’s safe. Should the authorisation be authenticated, the submarine commander is then given permission to fire. However, the above scenario relies on a crucial aspect: the centre of government surviving the opening plays of an all-out nuclear war. Which is where the letters of last resort then come in. Should a submarine commander not receive contact from his superiors for some time, he will execute a number of checks. One of which famously is to attempt to listen to the Radio 4 Today programme for several days. If the tones of James Naughtie do not drift into the control room of the submarine for three successive days, the commander and his executive officer will use their individual keys and unlock the outer and inner safes, and find the fate of Britain resting in a No. 10 Downing Street envelope instructing them exactly what, or perhaps not, to do. What will Teresa May write? Hopefully, we will never know. What a weekend for British sport! Chris Froome kept the yellow jersey yesterday, a day when we expected one of the other contenders for the general classification to try and put in an attack As it happened, Sky did a brilliant job of keeping the race under control and it was only in the last kilometre or so that anyone even tried to gain an advantage of our British hero. We still have three jerseys on British backs. At the same time, more or less, Andy Murray magnificently dismantled Milos Raonic to win in straight sets and became the first British man to win multiple singles titles at Wimbledon since Fred Perry in 1935. Lewis Hamilton's scored his fourth win in his home race and his third in succession. Doing so brought him level with 1992 world champion Nigel Mansell as the most successful driver at Silverstone. And it got even better for him three and a half hours after the race when stewards penalised his team-mate Nico Rosberg 10 seconds because Mercedes had broken rules on how much help a driver can be given over the radio. That dropped Rosberg to third place and cut the German's championship lead over Hamilton to just one point. 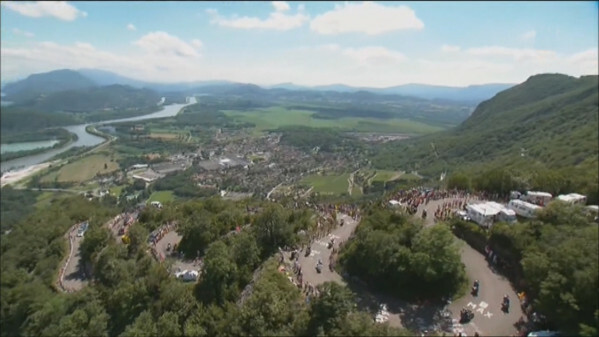 The next big day for the contenders in the Tour de France will come on Bastille Day with a stage that finishes on the fearsome climb of Mont Ventoux. In the meantime, can Mark Cavendish repeat his 2011 win at Montpellier? Another win would bring him a step closer to Eddy Merckx record of 34 stage wins. We all know that politicians fight rough when it comes to their campaigns. Never mind what policies they are willing to support, how much dirt can they find about the other candidates. Often this means digging into the past to uncover some indiscretion but in the case of Andrea Leadsom, she was looking to the future with her remarks about Teresa May. Ms Leadsom, who has two sons and a daughter, was asked in an interview with The Times whether she felt “like a mum in politics”. “Yes. I am sure Theresa will be really sad she doesn't have children so I don't want this to be 'Andrea has children, Theresa hasn't' because I think that would be really horrible, but genuinely I feel that being a mum means you have a very real stake in the future of our country, a tangible stake," she said. “She possibly has nieces, nephews, lots of people, but I have children who are going to have children who will directly be a part of what happens next. Whether we put this down to Leadsom's lack of experience or just being caught off guard hardly matters, Leadsom has dealt herself a blow that could cost her the leadership fight. Protesting that she was misquoted hardly carried any weight when the Times printed the full transcript of the conversation. It was a long time coming. When Bradley Wiggins won the Tour de France in 2012 it was cause for celebration because he was the first Britain to do so. Then Chris Froome won in 2013 and 2015. Mark Cavendish has now won 29 stages in the Tour putting him ahead of Bernard Hinault and only 5 shy of the great Eddy Merckx. With eight stages completed in the Tour, British riders have won 5 of them ( Mark Cavendish - 3, Stephen Cummings -1 and Chris Froome -1). Adam Yates is the current holder of the white (young rider's) jersey, Mark Cavendish the green (points) and Chris Froome the yellow (race leader). To complete a great weekend of British sporting heroes, all we need is Lewis Hamilton to win the British Grand Prix at Silverstone and Andy Murray to win the men's title at Wimbledon. Victor Barrio, 29, was gored in the bullring at Teruel in Aragon yesterday. He was taken to hospital where he died of his injuries. The last bullfighter to die in the ring was in 1985. As tradition dictates, his name will be remembered along with that of the bull just as we remember Espartero and Perdigón, Joselito and Bailaor, Manolete and Islero, Paquirri and Avispado . Barrio and Lorenzo will now be added to that list. The cow that gave birth to Lorenzo will be slaughtered. In some British papers, those who oppose the whole idea of bullfighting have commented that this time the bull has won. No matter what your opinion is of bullfighting, it is sick to revel in the death of someone brave enough to face them armed only with a cape and sword. If you were watching the the Ladies Final at Wimbledon this afternoon, tune in to Eurosport 1 tonight and watch the highlights of today's stage in the Tour de France. I won't spoil it for you by telling you the result and what happened in the last kilometres of a long day, that you can see for yourself. We saw yesterday how the Cat 1 climb of the Col de Aspin broke up the peleton in the Tour de France and left some riders struggling. Now we start with the real hilly stuff which should sort the pack out and the good news is that there is a lot more to come. That was a magnificent effort by Stephen Cummings (a British rider) yesterday and a fourth stage win for Dimension Data in this year's Tour. For today a downhill finish. and on Sunday, start the day and end it with a climb. When my radiotherapy treatment started, I set certain deadlines to see me through. Getting to the end of the first complete week was one because then I knew I had Saturday and Sunday to recover and I would not have to get up early and travel to Elche for two days. Today, I reached my second deadline which was the 14th day of treatment which means I am now half way through. By the weekend, I will only have two full weeks left of radiotherapy - that will be another milestone. Then I will be down to one week and finally my last treatment should be on the Monday following. Having Pamela with me on Tuesdays and Thursdays helps to break the week up. When she had radiotherapy for breast cancer, I was at work and so it was not possible for me to accompany her. Fortunately, one of our neighbours went with her a few times which must have helped in the same way. Last week, a few of the people I had met at IMED were on their last day of treatment and you could tell they were delighted to have finished the course. Certainly, they will have follow up consultations to check their progress but they are far less frequent - maybe once every three months. The hope for those of us with prostate cancer is that our PSA level will gradually drop and that by the end of a year or so will be at a normal level. A normal PSA level is a good sign that the treatment has been successful. There may be further tests as well including MRI scans and possibly a biopsy. With regards to the side effects: as I said, the bathroom has become a frequent place I visit which is OK during the day but at night, when I would rather be asleep, it is a nuisance but no more than that. The best description I can give is "little and often". Last night we went down to the Auditorium to watch Mama Mia, a dance spectacular performed by children from the Beatriz Arce School of Dance in Bigastro. The older girls were excellent dancers as were the middle group. The youngest ones were only 3 years old though and although there were some promising dancers amongst them, a few had not remembered the routines. To be honest that hardly mattered, they won people's hearts by being just so damn cute. One little girl spotted her parents in the front rows and instead of dancing proceeded to wave to them. I bet that brought a tear to the parents' eyes. You can see my album of photos in the sidebar. I cut the number of pictures down from the 500 that I took but still ended up with 185. There are quite a few similar photos in there, I apologise for that. I expect the parents will appreciate the duplication more than you do. 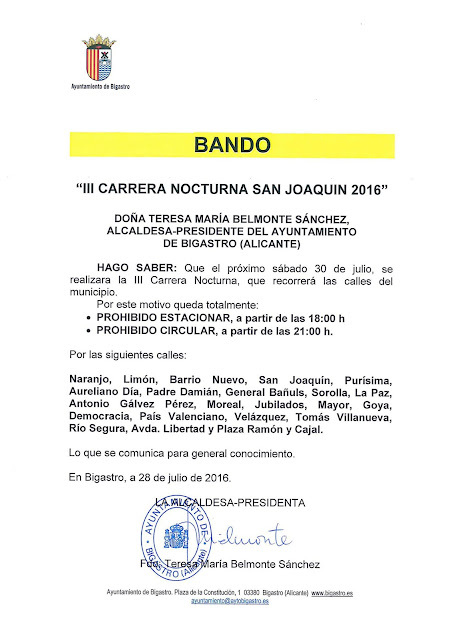 National Police officers conducted a raid on a house in nearby Molins. They claim that an internet site was used to offer the services of male prostitutes and transvestites from the house; 24 hours a day all with the promise of discretion, cheap rates and private parking. Those who live here will know that Molins is a sleepy little village where you would least expect any sort of scandal. This must be the hot topic of the villagers in the handful of local bars and restaurants. In a macho country like Spain, it is easy to guess the reaction of locals to this event.